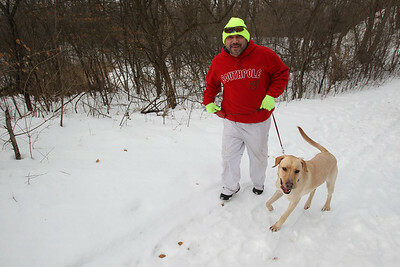 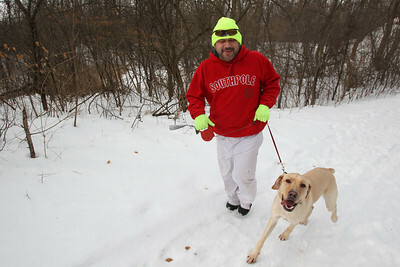 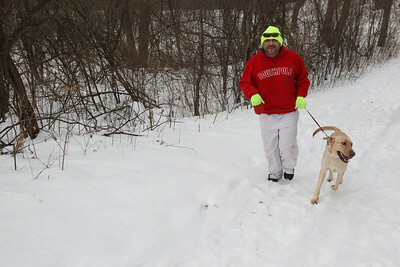 Sarah Nader- snader@shawmedia.com Miguel Bautista of Cary runs with his dog, Rio, at the Hollows Conservation Area in Cary Sunday, January 12, 2014. 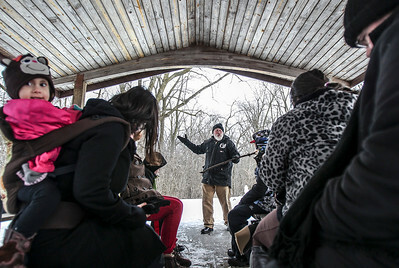 Sarah Nader- snader@shawmedia.com MCCD Education Program Coordinator Andy Talley acts out a fable before letting the group head out to look for winter plant life and signs of animal activity during a winter scavenger hunt hosted by the McHenry County Conservation District at the The Hollows Conservation Area in Cary Sunday, January 12, 2014. 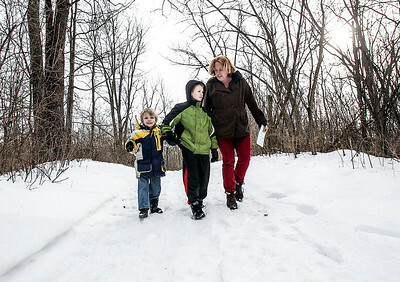 Sarah Nader- snader@shawmedia.com Charlie Peterson (left) 4, Tom Kerver, 12, and their mother, Charlotte Berry of Woodstock look for animal prints during Sunday's winter scavenger hunt hosted by the McHenry County Conservation District at the The Hollows Conservation Area in Cary Sunday, January 12, 2014.